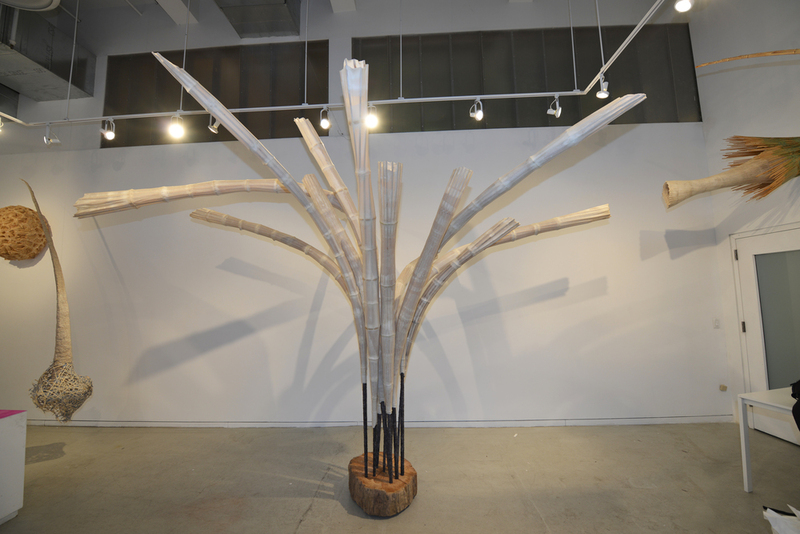 My work is an evolving exploration of vessels, linear elements and organic forms. Most of my pieces are inspired from observation of botanic and aquatic life — egg casings, shells, seedpods, and hives. I work mainly in wood and handmade paper. Much of my work in wood is fabricated from strips and shards of wood and pigmented epoxy. In constructing sculptures, I borrow many techniques from wooden boat building, including cold bending, steam bending, and epoxy laminations. Handmade abaca paper has become an integral element in my recent works. I begin by building superstructures from wood or foam. This framework becomes the backbone of the sculpture. I sheathe the forms with wet sheets of abaca paper or sprayed pulp, allowing the drying process to become part of the aesthetic. I intentionally have no desire to interfere with the inherent properties of the material, allowing it show off its natural strength and translucency. Fritz Dietel lives and works in Philadelphia, PA. He received his BFA from University of the Arts, Philadelphia, PA in 1984.His recent solo shows include Fritz Dietel at 315 Gallery, New York, NY, 2015; Fritz Dietel at Schmidt Dean Gallery, Philadelphia, PA, 2011; Fritz Dietel at Schmidt Dean Gallery Philadelphia, PA, 2006; Fritz Dietel at Schmidt Dean Gallery Philadelphia, PA, 2003; Fritz Dietel at Milton Hershey School Art Museum, Hershey PA, 2002. 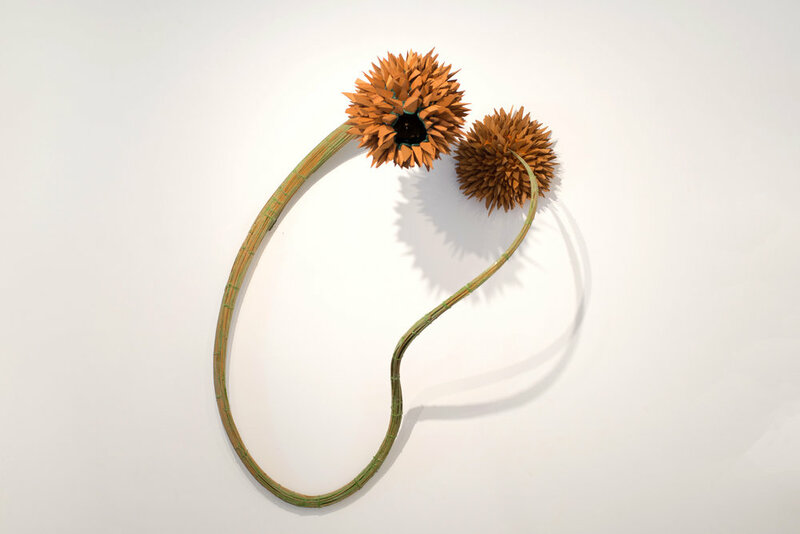 His recent group shows include on/of/about/Paper at DM Contemporary, New York, NY, 2015; Drawing on Nature at Schmidt Dean Gallery, Philadelphia, PA, 2014; Science & Art, Buds, Blooms & Berries at The Everhart Museum of Natural Museum, Scranton, PA, 2011; C3: Create. Connect. Collect at the Main Line Art Center, Haverford, PA, 2011; Art & Work at Fort Washington, PA, 2011.